Bankruptcy is a drastic financial step, but there are times when you just can’t avoid it. After my surgery in 2012, the medical bills started rolling in and seemed to never stop. When the last one arrived and they were all totaled up, the tab was over $450,000. There was no way we would ever be able to repay that. Our only option was to file bankruptcy. As soon as our bankruptcy was finalized, we started receiving letters in the mail from auto dealerships, offering special financing to help us get into a new car. We had just bought a used car and were making payments on it. It was a good car, and served us well. But when it started needed expensive repairs when it was seven years old, we decided it was time to get a new one. About that time, we got another letter in the mail from a dealership nearby, so we decided to look online at their inventory. Most dealerships, such as Buchanan Auto Park in Waynesboro, Pennsylvania, now publish the autos they have in stock, including any previously owned vehicles, online on their websites. The search tools are really easy to use. You can search by year, make, body style, mileage, and price range. It makes looking for the type of car you want to buy so much easier. You don’t have to drive around to all the dealerships in the area looking for the right car for you, which saves you time, gas, and frustration. We found several cars online that we wanted to see in person at the dealership near us. When we drove over there, there were a couple of cars that were so new to the lot that they had not yet been inventoried online. 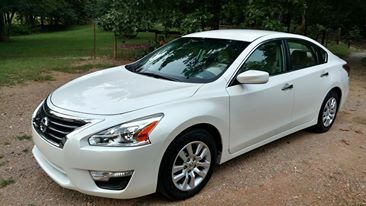 We drove two cars, and decided on the 2015 Nissan Altima. It is a mid sized car with a lot of leg room. Even with 50,000 miles on it, it still drives smoothly and gets over 34 miles per gallon of gas. True to the letter we received in the mail, the financing was easily handled. We were able to drive the car home the same day. Our experience in purchasing a fairly new previously owned vehicle after filing bankruptcy was good. Our credit rating is still not that good, but we got the loan with a decent interest rate. But, I think that being able to find the car we wanted before even leaving the house was what helped make the transaction so much better.